These two diametrically opposed headlines the Financial Times ran over the past 12 days tell you all you need to know about the state of airline stocks at the moment. Talk about the whipsaw effect! How’s an investor supposed to make a rational investment decision when the airline industry is in such a state of flux? Well, first off, let me just say that I’m exaggerating slightly the severity of the issues facing the airlines at the moment. Yes, fuel costs have risen about 50% over the past 12 months, but it appears strong demand for airplane travel along with moderating fuel prices should allow the airlines to raise ticket prices to make up for the higher expenses, at least in the short term. Looking out beyond the next 3-6 months, if fuel prices continue moving higher, it’s unlikely airlines will be able to recover all of the increase in costs. So, what should you do? Avoid airline stocks, silly. Just kidding. I know you’re looking for the silver bullet. Here are three possible ideas. Some experts are suggesting that if higher fuel prices persist, airlines in the fall are going to slash the number of international flights while also raising prices. “This summer may well be the last time you’re going to get a great price to Europe,” Hopper chief data scientist Patrick Surry commented in the New York Times June 6. So, if that’s the case, European hotels could be in strong demand this summer. In that case, rather than buying into airlines, you might opt instead for a hotel chain with a large number of hotels in Europe such as Accor SA (ADR) (OTCMKTS:ACCYY) or Marriott International Inc (NASDAQ:MAR) if you don’t want to buy over the counter stocks. I don’t know if you’ve noticed but Boeing Co (NYSE:BA) is on a bit of a roll these days. Boeing is up 27% year to date through June 6, airlines will still need newer planes if they want to charge higher prices for an extended period. I’ve always liked the idea of betting on an indirect beneficiary of a particular industry. For example, you could have placed a bet to win on one of the many horses in this year’s Kentucky Derby or you could have passed on guessing which horse would win and instead bet on Churchill Downs, Inc. (NASDAQ:CHDN) because no matter the outcome, the host track was raking it in during the Run for the Roses. Why bet on airline stocks when you can own the company that supplies the planes? Have you ever seen a successful airline without planes? I didn’t think so. I was going to suggest the U.S. 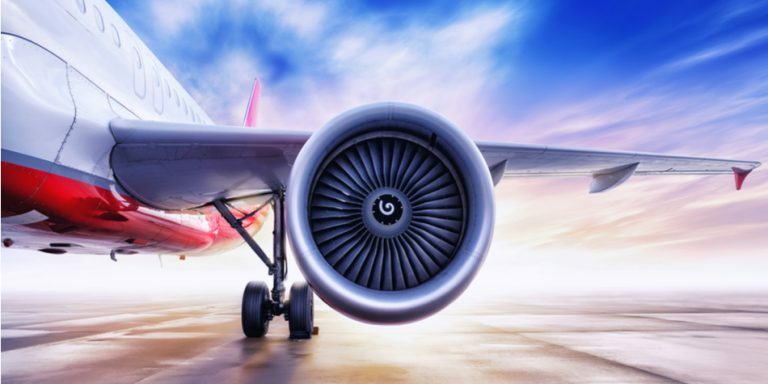 Global Jets ETF (NYSEARCA:JETS), which I recently mentioned as a possible alternative to airline stocks, but then I thought about my previous idea of owning a stock that benefits from airlines but isn’t one. And then it hit me. Buy an airport. Last August I suggested Warren Buffett should buy Grupo Aeroportuario del Pacifico (ADR) (NYSE:PAC), an operator of 12 airports in Mexico including tourist destinations Los Cabos and Puerto Vallarta as well as Montego Bay’s airport in Jamaica. He should really buy it now because when I wrote about PAC, it was trading around $109. It’s down 24% since then. However, despite the setback, the airport operator is generating more free cash flow today than it ever has. As I stated in my piece about Jets, if you must buy an individual airline stock, I believe it should be Southwest Airlines Co (NYSE:LUV) despite the fact that Southwest lowered its Q2 2018 quarterly revenue June 5 because it’s cut back on marketing after the death of a passenger in April. Southwest knows how to make money in good times and bad and that’s critical in such a volatile industry. Article printed from InvestorPlace Media, https://investorplace.com/2018/06/airline-stocks-silver-bullets/.